Marrakech Debrief: How is the Paris Agreement Tracking? 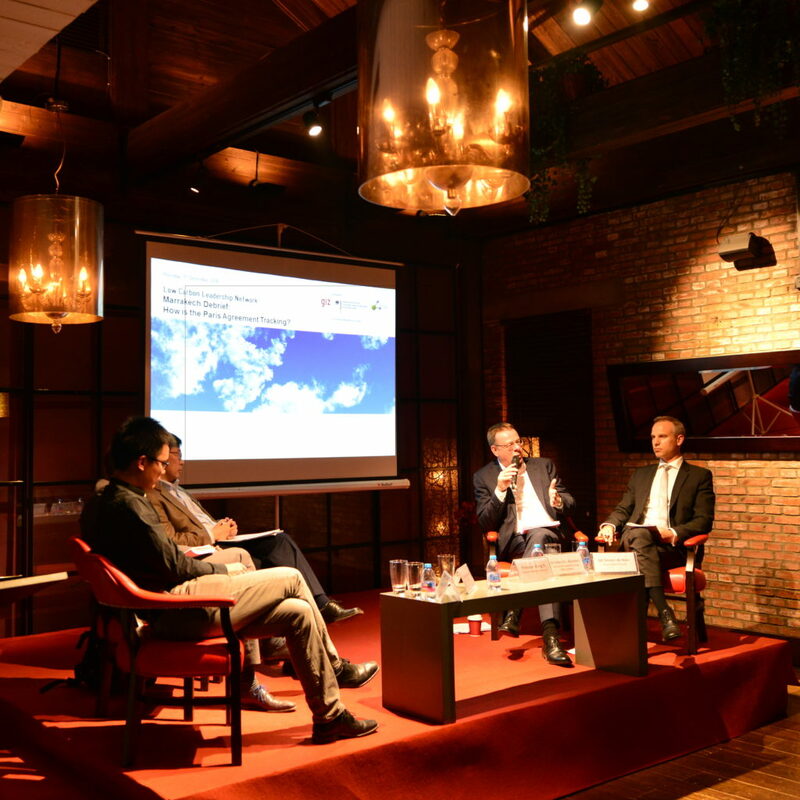 On 1st December 2016, China Carbon Forum together with Deutsche Gesellschaft für Internationale Zusammenarbeit GmbH (GIZ), co-organized “Marrakech Debrief: How is the Paris Agreement Tracking?”, as part of the China Low Carbon Leadership Network (LCLN). This event featured a panel of distinguished experts and government representatives who shared their views on the developments at COP22 in Marrakesh. The panel included representatives from both China and Europe, and the audience were enabled to gain an insight into a mix of perspectives, especially during the Q&A session. After the discussion, the guests enjoyed a follow-up networking event. For a record of the discussion, download the PDF: Marrakech Debrief: How is the Paris Agreement Tracking?.